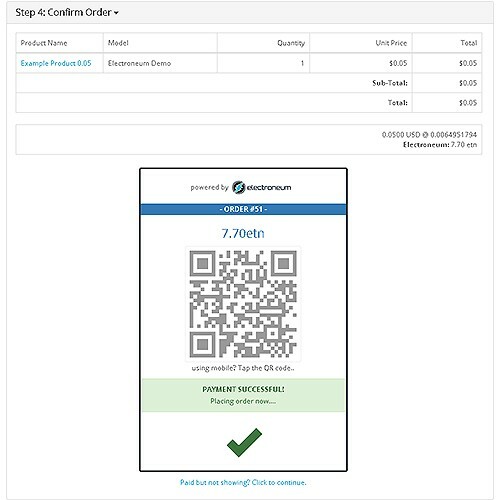 Providing OpenCart merchants an easy, fast and secure way to accept payments using Electroneum; one of the fastest growing cryptocurrencies in the world. Free and easy to setup; no technological expertise required. 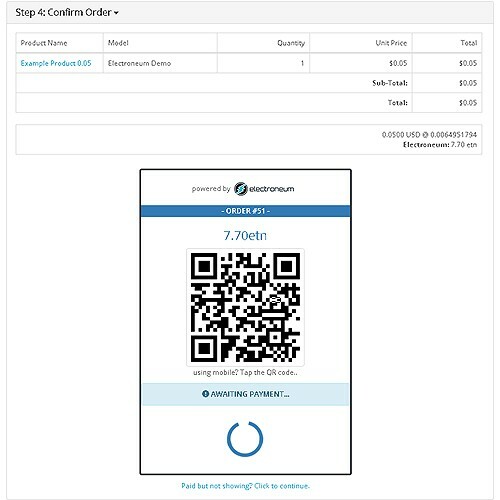 Customers can make a payment by simply scanning a QR code on the shop checkout screen using their Electroneum phone app. 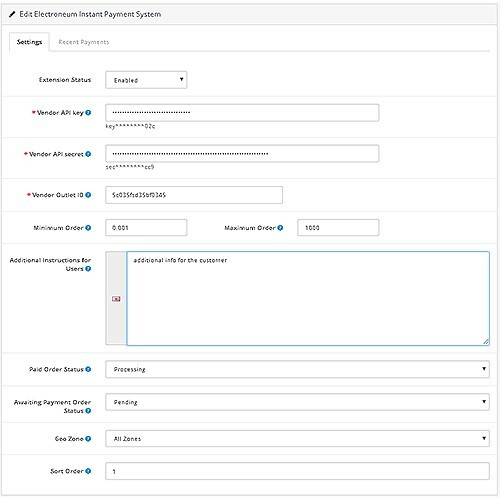 Payment is authorised by the regulated trusted 3rd party (electroneum.com) and a vendor notification is sent to the shop within seconds. 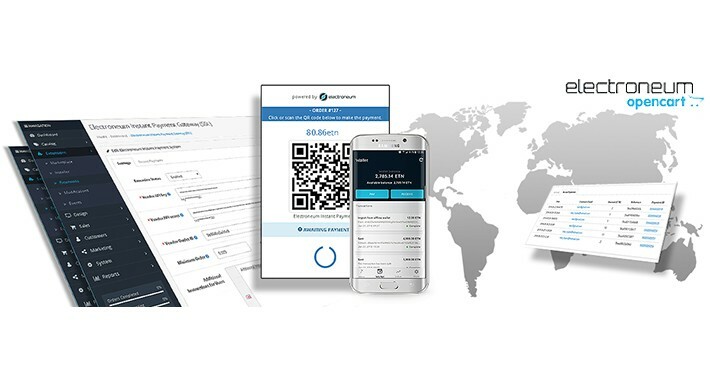 No hidden fees, start accepting payments worldwide. What to see it running? Why not check out the Demo shop.